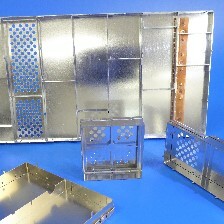 Board level EMI shielding cans are manufactured by photo etching or pressing thin metal sheet, which is then folded and soldered or tabbed to form the shielding can. 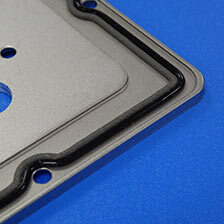 PCB shielding cans provide effective isolation of board level components. 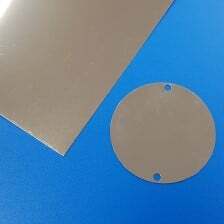 Photo etching is the most cost effective production method and being custom made, the cans can be manufactured to incorporate a range of design features to suit individual applications. 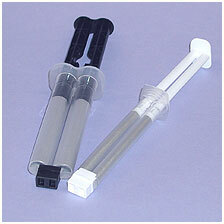 Many different clips and pins are available for mounting the PCB shielding can to the PCB. Board level EMI shielding cans are 99% of all cases combined with a pin or clip to fix the can onto the printed circuit board. However, the clips or pins hold the can firmly, it is still possible to remove the can for maintenance.